This is Bachelor Cookings’ version of Huevos Rancheros. The inspiration for this recipe came from staring into the fridge one morning after having Mexican food the night before and seeing tupperware containers filled with delicious goodness. Start with the chorizo in a hot pan and cook it for about 5 or so minutes. Then add the beans and continue to cook. Add the Jalapeno and the Onion (diced) if you like some spice. Crack your eggs into the same pan with the beans and chorizo and then scramble it all up. Cook over a medium-low heat until finished. 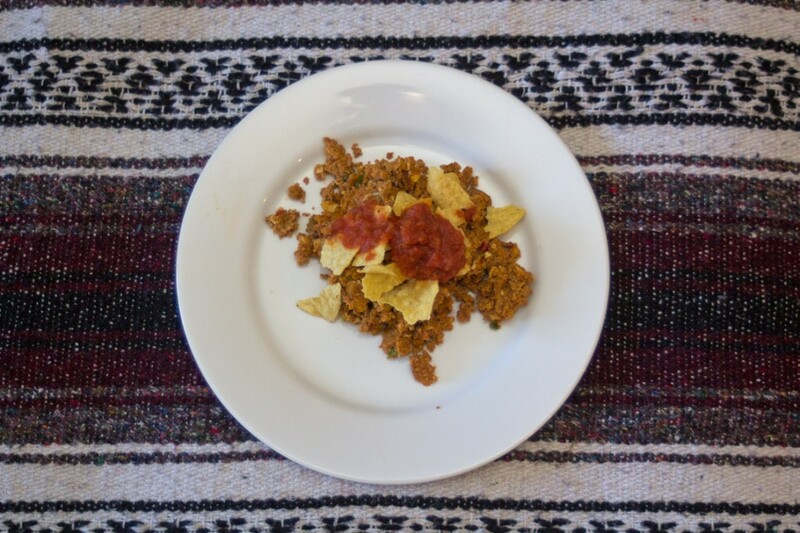 Top with Salsa and Tortilla Chips. 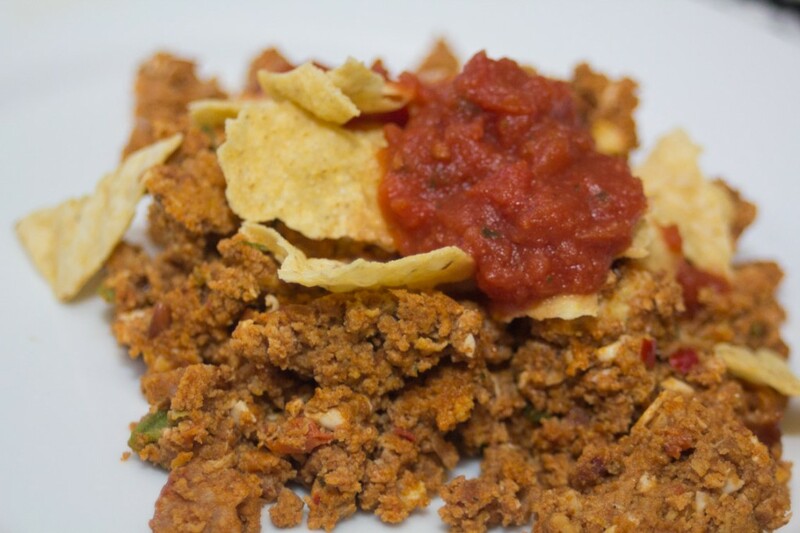 This is a great meal to make with leftovers from a Mexican Meal. 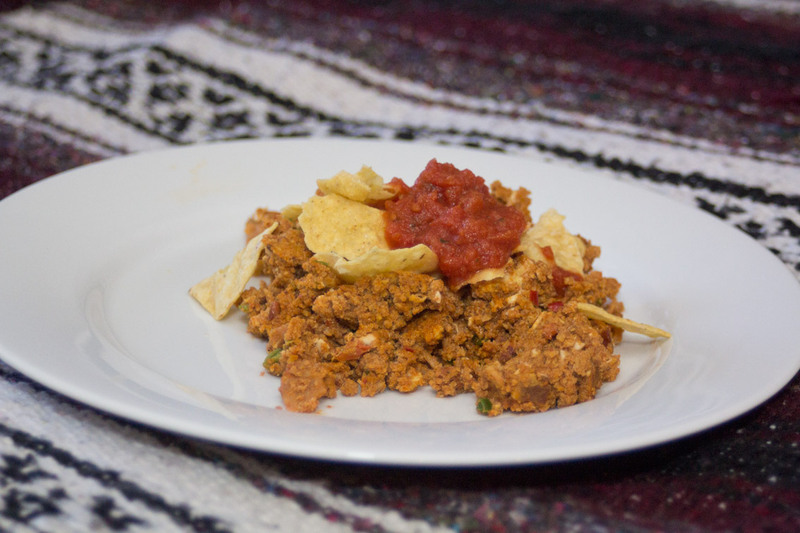 You can also serve this in a tortilla as a breakfast taco (without the chips). Bachelor Cooking works hard to bring you some simple recipes that taste great. Feel free to use them, adapt them, or pass them along to friends.